Well, here’s the scoop. We are leaving tomorrow! Seriously. Saturday! 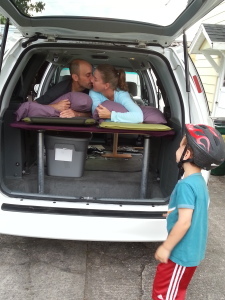 We’ll hit the road by 10:00 because a lovely family friend is getting married on Mt. Ashland in southern Oregon and we don’t want to miss this wonderful event. I can’t think of anything more special than spending Saturday night with our adopted Oregon family on our way out of the northwest. From there we’ll head to Crater Lake National Park to officially say good-bye to Oregon. Then we’ll continue south and east across Nevada on the “loneliest road”, Route 50. We’ll cross the salt flats of Utah, then head south toward the four corners of Utah, Arizona, Colorado and New Mexico.Our plan is to follow our noses and watch the weather, reading state-specific gazetteers to guide us along. A few weeks ago we met with my former colleague Kristin, who used to work for the National Park Service. She gave us lots of tips and pointers about routes, geography, and ghost towns. 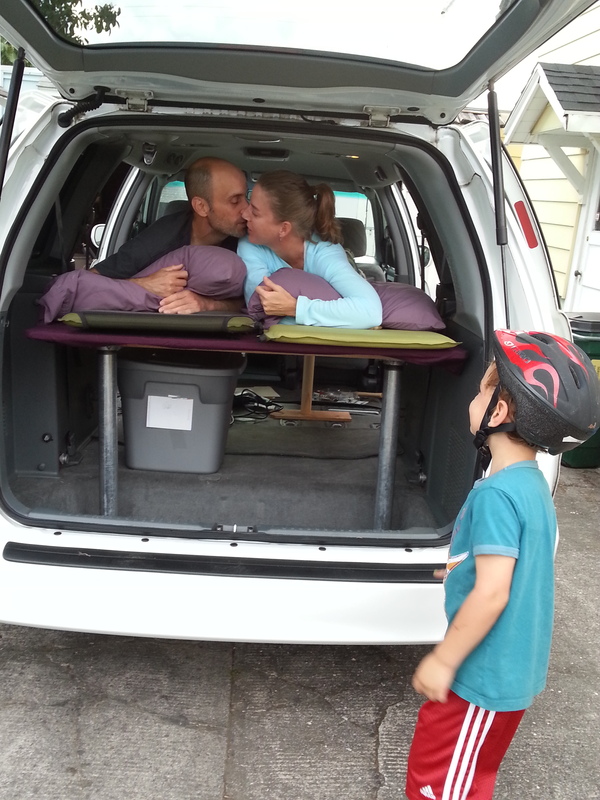 Now that we have our trusty mini van outfitted with a bed we’ll be able to camp, inside or out, anywhere along the way. We plan on arriving in Holland, Michigan in mid October-ish to spend a few weeks with my parents. Family and friends will be the focus as we travel to New England and down the east coast. We’ll spend Thanksgiving (and a few weeks) with Harry’s family and my brother’s family in Virginia. At some point in January we’ll find ourselves down in Miami with tickets to fly to South America. And that, my friends, is our plan. Perfectly vague with lots of unknown tossed in.